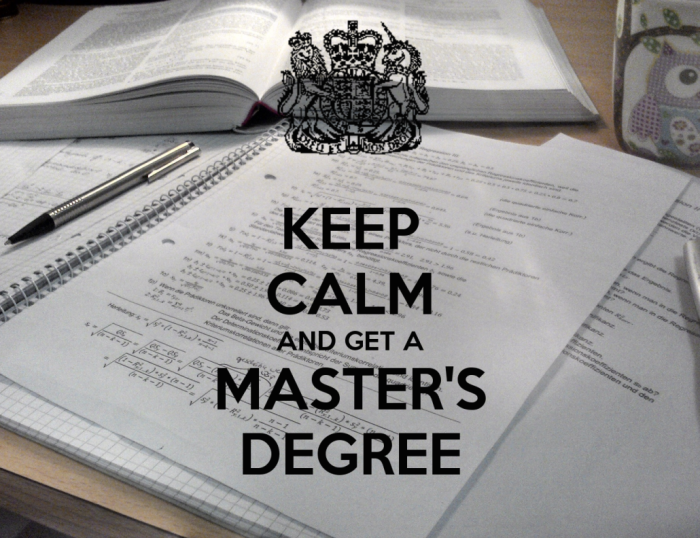 Home Applications & Admissions Should you consider pursuing a Master’s degrees ? Graduates with a resume boasting of an excellent academic track and a lot of work experience will definitely thrive in a competitive job market. Over the last few years, master’s degrees have become a very popular choice for students across the world for many different reasons. But does a master’s degree really provide any significance value? Does it offer a job guarantee? Not all master’s degrees are valuable. They are all industry specific. Certain industries value real world experience while others need academic excellence. For example, the media industry prefers candidates with work experience instead of a master’s degree because it is a practical and creative environment that can be understood only with experience and not in the classroom. On the other hand, if you plan to become a doctor then a master’s degree can be very helpful. Industries like media, sales and recruitment do not necessarily require a master’s degree if you have good work experience. Which master’s degree is financially valuable? Most students today opt for a master’s degree with the belief that it will add some value to their overall salary. Reputation.com has conducted a study by analyzing online resumes, salaries and job profiles. Their study points out the fact that the average increase in salary for recent graduates from a master’s degree (non-MBA) is less than $2,000/year. In fact, master’s degrees in areas like social work, architecture, journalism, English, history and public administration do not provide any significant financial increase. Other than an MBA, master’s degrees in chemical engineering, electrical engineering, physics, chemistry, marketing and economics are the most financially valuable. Students contemplating a master’s degrees should follow labor market information and employment trends before making a decision. Although recessions and economic depression can alter outcomes, students should try to gain an understanding of what employers would want from an ideal candidate by the time they complete their course and start searching for a job. Check labor market information for the geographical area that you plan to seek employment in. Ask important questions like whether your field is shrinking or growing, if you would be getting the certifications, skills and knowledge employers are looking for and if you would be able to use your skills and degree in a different industry. The school and the program you select for pursuing a master’s degree is also very important. Contact the program chair to learn more about their current job placement rates, the kind of jobs past students have secured and if they have partnerships in the industry for internships and placement opportunities. Overall, it is important for students to understand that a master’s degree will only be valuable if they pursue it for the right reason. You should consider a master’s degree only if you are passionate about that particular subject and if you think it would be a step up for your sector. It is also important to ensure that your master’s is relevant to your industry. If you are still in doubt, contact a target employer or specialist recruiter to learn more about what they think a master’s degree in your field is really worth.